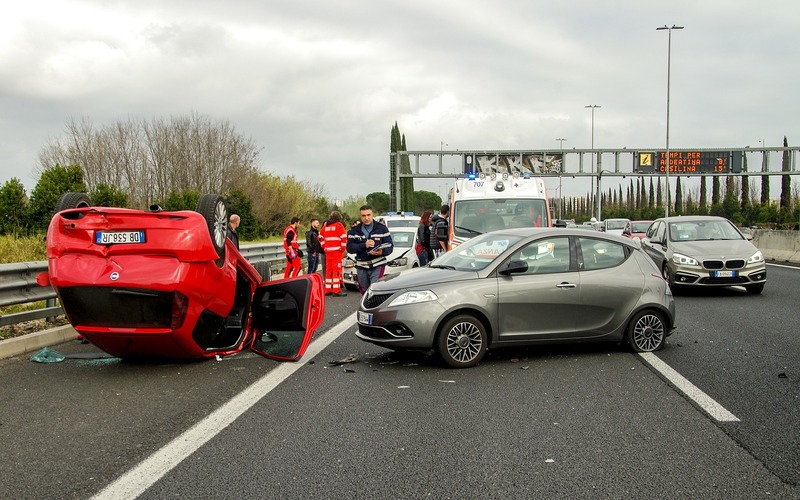 The term “car accident” implies that the collision occurred unintentionally, but the accident can still be (and often is) attributable to a person’s actions on the road. Determining which person (or which people) were responsible for an accident is a process of evaluating fault, and whoever is found to be at fault or majority fault for the accident will likely face significant consequences—including much higher insurance rates and potentially, legal costs. So how is “fault” determined in the first place? It’s important to determine fault because the vast majority of car accidents are attributable to human error. Having a system of fault in place allows authorities—including law enforcement officers, judges, and even underwriters of insurance companies—effectively punish or curtail the problematic behavior of irresponsible drivers in the future, while simultaneously ensuring that responsible drivers involved in accidents that aren’t their fault are compensated for those damages. If you’re ever involved in an accident that isn’t your fault, it’s important to know how fault is determined and how to prove that it wasn’t your fault; that way, you can make sure you’re adequately compensated, either by contacting the guilty party’s insurance company or by seeking legal action. In most cases, fault is determined as a percentage basis. Depending on the conditions of the accident, one driver may be found to be 100 percent responsible for the collision (such as driving drunk on the wrong side of the street while the other motorist was obeying all laws). Sometimes, drivers can be found to be equally responsible, each with 50 percent accountability for the accident. Other times, a driver can have partial responsibility, being found just 10 percent at fault for a given accident. Everything depends on the conditions of the accident. So how would a police officer, judge, or insurance rep analyze who is at fault? Which factors can influence who is at fault? Everything comes down to deviation from legal standards. You’re required to do things like drive on the correct side of the road, follow the speed limit, and avoid following too closely so you can react to a sudden instance of braking. If only one driver has deviated from laws, rules, and norms, they can expect to be found 100 percent at fault. Driver admissions. A driver admitting fault is almost always going to result in finding that driver at least partially at fault. That’s why it’s important to stay somewhat tight-lipped during the investigation. Video evidence. Video evidence of the accident is ideal, but not always available. Dash cams are the go-to here, but security footage may also be possible to obtain. Photo evidence. After the accident, photo evidence can indicate how vehicles were damaged, suggesting where the collision occurred, how fast the cars were going, and other bits of information. The scene of the accident. On the scene of the accident and in a traffic collision reconstruction, it’s possible to use secondary pieces of evidence to determine fault. For example, there may be skid marks suggesting when one driver began to brake and how fast they were going at that point. Eyewitness testimonies. Eyewitness testimonies can be valuable pieces of evidence—especially when video evidence isn’t available. However, it’s not always reliable. People aren’t especially good at remembering vivid details of fast or stressful events. If you have a solid body of evidence already, eyewitnesses may not help you much, but keep an eye out for witnesses after an accident regardless. Knowing how fault is determined, there are some steps you can take to protect yourself—so you aren’t falsely accused of being at fault in an accident, and so you can prove it when someone else is at fault. First, consider installing a dash cam in your vehicle. This will record on a constant basis, so if you’re involved in an accident, you can save the past several minutes of footage, and use that to prove what actually occurred. As long as you have a good angle, this is probably the best type of evidence you can provide. You can also take measures immediately after the accident to gather and preserve as much evidence as possible. Take lots of photos, take vocal memos of your opinion of what just happened (which will be more reliable than a retrospective analysis), and see if you can find any witnesses to the accident—after you get to safety, of course. Perhaps most importantly, never admit fault at the scene of the accident. Instead, focus on documenting the objective facts, and get assistance from a legal expert if you need further assistance.